This costume comes complete with matching hat. Is your puppy a patriotic pooch? If so, dress her or him in one of the special outfits from the Posh Puppy Boutique that will help them celebrate Independence Day in style. Consider our Patriotic Flag Harness Dress ($70), which uses a flag-like fabric topped with a white bow at the waist. Sizes range from extra small to medium. It also has a “D” ring for easy leash attachment. Make your little girl a real Yankee Doodle Woofette in our Patriotic Dress Costume ($44) replete with stars, stripes, sparkles and a red skirt. The outfit comes with a matching drawstring hat. Sizes range from extra small to large. Our Fireworks Harness Vest ($67) looks like a night sky during a July 4 display. Sizes for this colorful vest range from extra small to medium. Our Starstruck Tank looks sharp year-round. Switch from a black and blue background to a white one, then add the first letter of your dog’s name with our Personalized Fireworks Harness Vest ($70). Sizes range from extra small to medium, which are based on chest and neck measurements. Our gray and white Star Struck Tank ($32) is lightweight, patriotic and just general enough to be worn year-round. For a classic, yet elegant look, consider buying our American Beauty Tank ($30). This soft white cotton outfit is rimmed in red and features a large red, white and blue bow. Sizes range from double extra small to large. If you live in a warm climate, consider our Stars & Stripes T-shirt ($27) made with cotton and poly mesh to allow greater air flow. This shirt is blue with a stars and stripes design. Several sizes are available. One of the simplest, easiest and safest ways to celebrate July 4 is with our Adjustable Step-In Dog Harness ($45) with a matching lead available for $38. The harness sizes range from double extra small to large. In addition to being a colorful mix of red, white and blue, this harness is quick and easy to attach and places the stress of the lead at your dog’s shoulders instead of on their delicate neck bones. Best of all, it compliments most other dog outfits. The single most important reason for using this harness, though is pet protection. Loud noises, such as from fireworks, will scare your dog. Having them secured in a harness means a reduced risk of your frightened pup getting lost. Paws up! The Placer SPCA Pet Mobile is visiting the Posh Puppy Boutique Retail Store from 9 a.m.- noon Saturday, July 7. Come by our store at 6040 Stanford Ranch Rd, Ste. 200 in Rocklin, Calif. for a visit. You might find a new friend. Dish out your pet party favors in doggy bags. 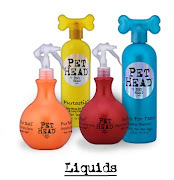 In an earlier blog post, we mentioned the Posh Puppy Boutique is the place to shop when hosting a pet birthday party. Our previous post covered decorations and food. But parties are about more than banners, hats and great eats, especially ones using natural ingredients and designed with a dog’s digestive system in mind. Good parties also have favors plus plates and cups. They start with invitations and end with thank-you notes. We sell everything you need expect pets, places and peoples. Reward your four-legged guests with something they are sure to enjoy: a plush toy. We sell a birthday girl cake toy for smaller dogs ($12) and larger dogs($15). We have small birthday cake toys for boys ($12) and versions for their larger friends ($15). The girl toys are pink with a paw print motif while the boys version is blue with bones. For something unique, consider giving your pet’s pals a Singing Birthday Cake plush toy ($12), which plays “Happy Birthday to You” when squeezed. An edible gift option is our Thank You Boxed Treats ($15) with 16 cookies in four delicious flavors: carob chip, belly rubs, snickerdoodles and muddy paws. Place your gift treats in one of several treat bags such as our Puppies Doggy Bags ($12 for eight bags). At 6.5 inches by 9 inches, they will nearly most gift items. Feed our pet’s pals—and their human friends, too—with our Dog Party Lunch Plates ($10 for a package of eight square plates) featuring the mugs of four smiling dogs. Serve up cake on our Dog Party Time Dessert Plates ($9 for eight 6.75-inch round plates). Help the humans clean their faces—if the dogs don’t do it for them—with our Dog Party Beverage Napkins ($9 for 18) featuring paw prints in several bright colors. Having the best decorations, food, favors and flatware is wasted, though, if no one knows you are throwing a Paw-ty ($11 for eight 4-inch by 6-inch invitations). These bone-shaped invitations are kid friendly, too. We also have Puppy Birthday Party Invitations ($15 for eight pop-up invitations) so your pet can invite their wide-spread litter mates and play pals for a day of eating, romping and soaking up human love. Our outdoor fountain is great for large breeds, holding 3.5 gallons. Summer is here is all its blazing glory. That means those friends of our who can’t take off their fur coats (our dogs and cats) need help cooling down. Fret not because the Posh Puppy Boutique has several ways to achieve this. Just as humans enjoy a cold glass of water, so too do dogs and cats. Help them cool off, hydrate and gain added vitamins and minerals by pouring them a drink of DoggiWater($32 for a 12-pack). Available in Blueberry Bark, Raspberry Rollover and Strawberry Sit, DoggiWater’s ingredients promote fresh breath, healthy teeth and guns, reduce tarter and boost their immune systems. Some dogs—and many cats—prefer to drink moving water, such as from the tap or bathtub faucet. We have the purrfect solution: drinking fountains made just for them. Our Outdoor Dog Fountain ($160) holds 3.5 gallons of water and includes a pair of 1-gallon reservoirs. The dual filtration system—foam to catch large debris such as hair and charcoal to make the water taste better—ensures a constant flow of moving water. Cats and smaller dogs will like our Lotus fountain. Cats, kittens and smaller dogs will drink their fill from the Ceramic Lotus Fountain ($110). Holding 50 ounces (1.5 liters) of water, this stylish fountain from Drinkwell ® has four water streams, letting multiple pets drink at once. Cooling your pet off from the inside out is a great way to keep them healthy. Some larger breeds, though, like to play in the water. If your pooch’s idea of fun is to find the nearest puddle and jump in it, we have the perfect portable pet pools for you. Our Splash About Dog Pools ($110) are made from tough PVC for long life. They are easy to fill, fold down completely for storage and transport and come in three sizes. With a rim height of 12 inches—and a 47-inch diameter—our Dog Pool ($135) makes a perfect place for your pooch to get wet and romp around. Each of these options helps cool your pet, but done also shade them from the blazing sun. Our K-9 Koolee ™ Portable Pet Cooling Bed ($140), though, does both. A soft, folding, open-ended tent keeps the sun off your pet’s hair or fur while the proprietary B Core Polymer Cooling System helps cool your pet down. You can put the polymer cooling bag in the fridge (best) or freezer (it works, but is stiffer) then insert it into the outer pouch. The result is similar to a cool water bed for humans. The K-9 Koolee Bed keeps your dog cool and out of the sun. Our custom beaded gown is perfect for the dog bride to be. June, the month many humans pick as the month to marry. Some humans also like to have their pets enjoy the benefits of holy matrimony this month as well. 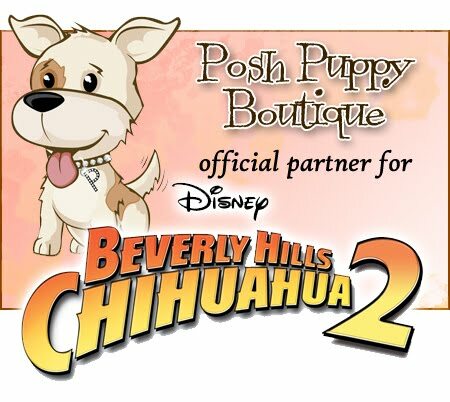 For that, look no further than the Posh Puppy Boutique, your pet wedding headquarters. Earlier posts took a peak at wedding dresses—like this Custom Beaded Gown with Vintage Lace ($125) in sizes from extra small to medium—and tuxes for the groom. We even have an I Do Hair Bow ($10) for the little lady. Ah, but what about the rest of the wedding party? Have no fear, the Posh Puppy us here! Our Ring Bearer Tee in Black and White ($35) is made with super soft cotton. It has a satin bow to show just how important this special occasion is. Your Flower Girl can have her own tank top ($28) in sizes from double extra small to large. Made with cotton, it has a touch of lycra for the perfect fit. Dress the doggie ladies in style with our Yappily Ever After Dress ($35), which works perfectly for either the bride or the bridesmaids. Made with white satin, it has ruffled trim and an organza overlay plus a large satin bow on the back. Sizes range from double extra small to extra large to accommodate any maid or matron of honor. We’ve also got many other beautiful creations to choose from, all of which work perfectly for this or any other extra-special event. The groomsmen—or is that grooms dogs?—can wear any of our many tuxedos or you can dress them up with a collar and tie combination. Nothing says “formal” like a white collar with a black satin bow tie ($25). Available in sizes from double extra small to double extra large, this tie has a Velcro closure. Instead of black, consider outfitting your grooms dogs with their own unique color satin bow ties ($25 each). We have them in pink, red, aqua, silver, lavender and a wide variety of patterns. Our Brides Maid Bow Barrettes ($15) come in orange, yellow, pink and purple. They all have a sequin flower in the center. We also have a huge selection of other doggie barrettes and hair bows to pick from so you can get exactly what you want. Dress up your bulldog with our Tuxedo bib and collar. It’s wedding season for both humans and critters. Make this a special year for your favorite four-legged friends by getting them their own special outfits from the Posh Puppy Boutique. We looked at bridal dresses last week for your precious princess. This time it’s the boy’s turn. Nothing says “groom” like our Formal Tuxedo Bib & Bowtie Set ($46). This outfit features a formal black satin bowtie and white tuxedo bib collar with rhinestone buttons. Sizes range from extra small to double extra large. A black shirt (not included) is also available. Our Malone shirt works alone or with a tuxedo bib. For a tres chic shirt, consider our Malone Shirt ($110). This long sleeve white shirt and black vest work well by themselves but even better when overlaid with a tuxedo bib. The outfit is made with polyester, cotton and satin. Sizes range from extra small to medium. A detailed sizing chart is supplied here. Top off his outfit with our black and white puppy cuffs ($30) in sizes from small to extra large. Made with cotton twill, they have an adjustable Velcro closure. Add more color by switching to a red/black cuff set ($30). Does your dog already have an outfit that just needs touching up? Add some elegance with our Dog Collar and Black Bow Tie Set ($20). Available in sizes from extra small to triple extra large, this combo is a perfect way for your Romeo to impress his Juliet. Get a matching black bow tie and white cuffs Ruff Cuff set ($65). Collars come in sizes from double extra small to six extra large. Cuffs can be ordered in sizes from double extra small to double extra large. We also sell a complete package: Black tuxedo with tails, top hat and bow tie ($45). A reinforced “D” ring is part of the outfit, allowing for safe and easy leash attachment. Sizes range from double extra small to four extra large. The same outfit also comes in burgundy ($45).